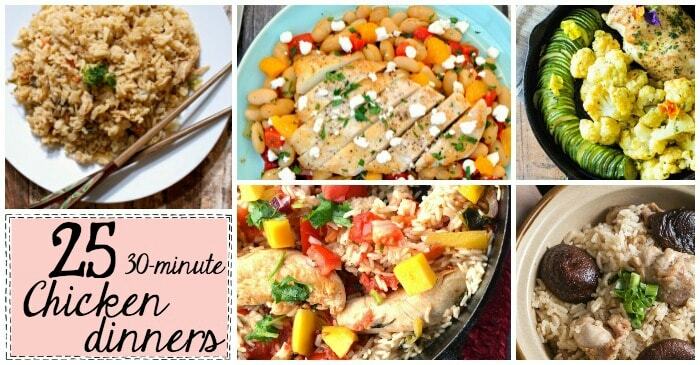 I have searched and compiled 25 Easy 30-Minute Chicken Dinners that can be made in 30 minutes and sometimes even less. My evenings are busy enough as it is and I don’t want to spend more then 30 minutes trying to get meals together. After a long day, I want to eat something delish and catch up with my hubby and the teen. And chicken is a huge staple meat in my home, but don’t you just hate it when you get into a rut of what to cook with it? I run into this snag every couple of weeks where I just run out of original ideas. I like to buy chicken in bulk because it saves money, but really, who likes to just eat the same old chicken dishes all the time?! So, maybe with these 25 ideas, I can keep from being bored, huh? LOL! Who knew that there were seriously so many ways to make 30-minute chicken dinners?! 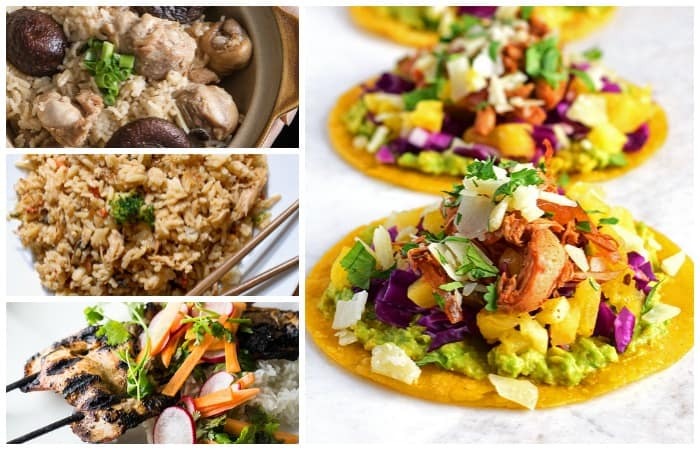 I am totally set with this list for a while… My family loves a tasty chicken breast and some of these recipes have the whole meal included in one skillet, which I just love. What do you think you will cook up first out of this list? Hit me up with a comment or find me over on Facebook…I’d love to hear your favorite!